Learn about all the features of your GO. for the GO Mobile & Stationary. No Bars – My Unit is not finding the cellular signal! When your system does not power up, one of the following things could be happening. You could have a power adapter failure, a hardware failure, or the system could need a simple restart. Make sure that you power source is a functional outlet. Test something else, that you know works in the same outlet, or try moving the GO to another outlet that you have confirmed has working power. It is possible that you have a bad power supply, or malfunction of your GO hardware. Please reach out to your point of sale for further instructions. This is not something that should continue, but if it occurs frequently please reach out to your point of sale for support. 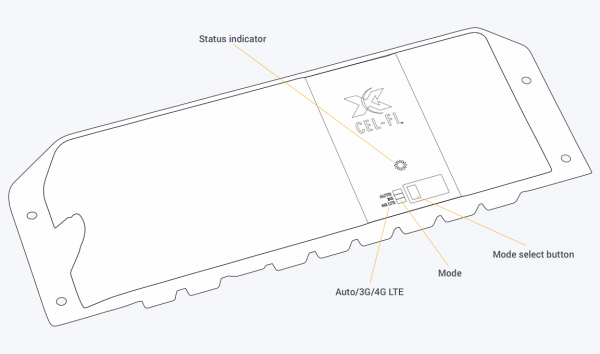 A blinking green or yellow status light indicates that your CEL-FI GO is still in the startup process. Depending on the complexity of your cellular network, this process can take some time. If the units is still blinking for more than 30 minutes please attempt a restart. If your system has a solid (non-red) status light but your phone is not picking up a stronger cellular signal you might need to check the Service Antenna. Make sure that your Service Antenna is fully functional. You might try swapping out your Service Antenna with another device. To find out more, please contact your point of sale. If you have no bars, your Unit may still trying to find the incoming cellular network signal. Your Unit may display a blinking power indicator light. This can sometimes take more than a few minutes. If you have bars of service on your phone in the location of your GO, and after 60 minutes you are still unable to receive bars of service on your Unit try a simple restart. To restart your Unit simply unplug for a moment and then plug back in. If the restart does not solve the issue please reach out to your point of sale for support. Try this…check the connection between your Donor Antenna and GO Unit. Confirm that your antenna is properly connected and working. You may need to try another Donor Antenna. Using your cellular device, try to find a location with at least one consistent bar of 3G, 4G or 4G LTE where the cellular device’s performance is satisfactory. More bars is always better! Once you have found a usable signal, place your Donor Antenna in this location. Your GO is overheating. Please ensure that your GO is clear of any blockage. If you have your GO in the exceptionally warm area you may need to relocate the device to ensure that this unit does not continue to overheat. Once GO has cooled it will operate as normal. Your GO Unit is experiencing a hardware failure. Try this…Reset your Unit. To do this simply unplug your GO from the power source for a few seconds and plug it back in. If you recently updated the device using WAVE, try updating the software again. If the error persists please contact your point of sale for further assistance. If you have satisfactory boost in cellular service you can ignore this message. Otherwise move your Donor Antenna to another physical location. Your system has been moved from its original address. Please move the system back to its original location or register your new address with your wireless provider. Systems can be registered HERE. During a system check a part of your unit’s configuration has reported less than optimal performance. The system could be displaying a non-critical error message. If you have a boost in cellular service at your service antenna you can ignore the E12 message. 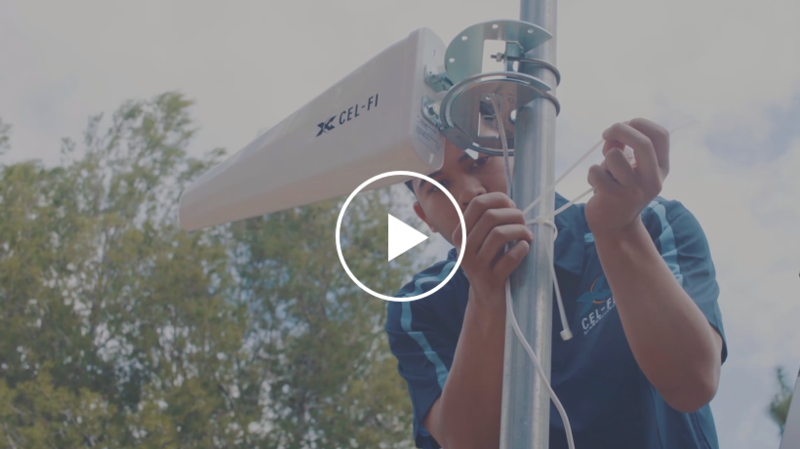 If you do not have boosted signal, check to confirm that both your service antenna and donor antenna are properly connected and functional. If the antennas checkout, the boost number on the unit is high and you still don’t have a boosted signal try restarting the unit. If you recently updated the software of your device, try again. If the error persist please contact your point of sale for further assistance. GO RMOE has been accessed. Please ensure the door is closed and locked to prevent access and ensure weather proofing. The GO RMOE input has dropped below 12V. Please check the power source to ensure operation. GO RMOE has experienced a high temperature event. Please monitor to prevent long term damage. GO RMOE has lost internet connectivity. Please check the modem and all connections. There is a Bluetooth connection issue and the GO system cannot connect to the GO RMOE. Please check the GO unit and Modem Support Platform for connectivity. The GO system has Bluetooth connection to GO RMOE, but it is not boosting. Check the GO unit for errors.